On Friday, world heavyweight boxing champion Anthony Oluwafemi Joshua was unveiled as the star of Globacom’s new commercial held in a media event in Lagos. Glo has a knack for incorporating top-tier talents and celebrities in their ads and campaigns, from sports to entertainment and with boxing icon Joshua coming on board, it feels very on-brand. Joshua described the network as his reliable partner. “I respect the ownership and management of Globacom and as a Nigerian, I believe charity must begin from home. I believe in Glo,” he said. L-R: Sola Mogaji, Senior Manager, Marketing Communications, Globacom; Olumide Iyanda, qed.ng; Bisi Koleosho, Deputy Chief Operating Officer (Technical), Globacom and Sanjib Roy, Group Chief Technical Officer, Globacom; Mayor Akinpelu, Publisher of Encomium magazine, at the presentation of Globacom’s New Communication Direction in Lagos on Friday. 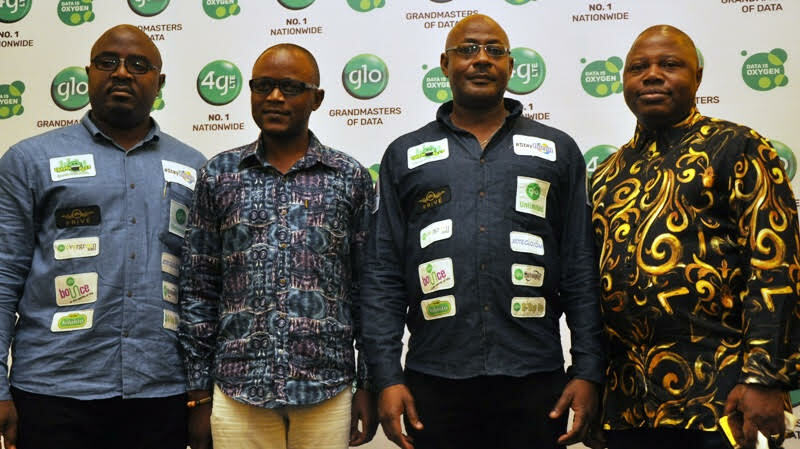 The management of Glo also spoke on the values Anthony Joshua and Globacom share: “We have the fastest speed, longest reach and the Nigerian fighting spirit as game changers. Glo, I hail o!” Joshua holds four major world championship belts, namely International Boxing Federation (IBF) title, World Boxing Association (WBA) title, World Boxing Organisation (WBO) title, and International Boxing Organisation (IBO) title which he won between 2016 and 2018. Other initiatives were also unveiled at the event and will rollout in the coming weeks. The commercial is the latest entry into Glo’s catalogue of celebrity-inclusive ads, but there are no swirling, superfluous graphics overly selling the brand’s trademark colours of green and white like we see with Basketmouth and Richard Mofe-Damijo. We have, instead, Joshua basking in the thrill of boxing and perseverance and full of hopeful spirit. And it doesn’t get any Nigerian than that. Check out the ad below.